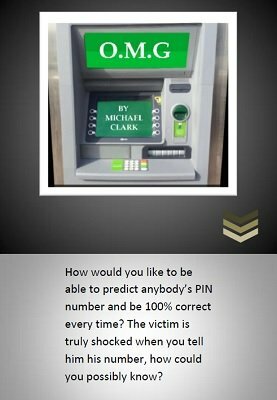 How would you like to be able to predict anybody's PIN number and be 100% correct every time? The victim is truly shocked when you tell him his number, how could you possibly know. Also comes with a kicker ending that will fry your audience.